His teammate from the Mercedes team, Nico Rosberg also appeared to be comfortable with the new track. The German is all set to start the race in the second position. Max Verstappen from the Red Bull team will follow him. Hamilton’s record has been splendid as he has won three times in the British GP in his career till date. Hamilton would be looking forward to his fourth victory. The defending champion has been extraordinary this time by winning three out of the last four races. Moreover, he has reached closer to the board leader, Rosberg. Rosberg is well aware of his and Hamilton’s position this time and that Hamilton has been riding high as of now. Anyways, the German racer is keen to win his sixth title. Hamilton, on one hand, will receive excellent support from the fans and on the other hand, will face a tough race. “Luckily, I am the fan favorites, and this gives me more motivation. Today will be another challenging race. It becomes necessary to give our whole attention today and work on the strategy and the tires. I will put in my hundred percent,” Hamilton said. Without any doubt, the race is going to be fascinating to watch as it will have drivers like Hamilton, Rosberg, Verstappen, Daniel Ricciardo, Kimi Raikkonen, and Sabastian Vettel. They are the best racers of the present times and have the capability to win the British GP. Mercedes will be the team to watch out for the most. However, their team management will hope not to see another collision between Hamilton and Rosberg as they have already collided more than one time in this season. The drivers of both the teams – Red Bull and Ferrari would be confident of showing some real pace coupled with amazing driving skills in the circuit. Verstappen is enjoying his time being in the car of Red Bull. He even outperformed Daniel. Now, he is serious to finish the race on the podium. If he gets work around his strategy with time, it will be no surprise that he will win the race. “It is good to start the race from the front. Everyone wants to have this chance. I will try my best and try to score a lot of points to reach the podium. I am trying to learn more about the car just as everyone else is doing,” Verstappen said. The British GP is set to start at 1:00 p.m. local time, 5:30 p.m. IST, 8 a.m. ET. Come back for the match result and full highlights. Who do you think will win? What are your predictions and thoughts? Don’t forget to share via commenting below. 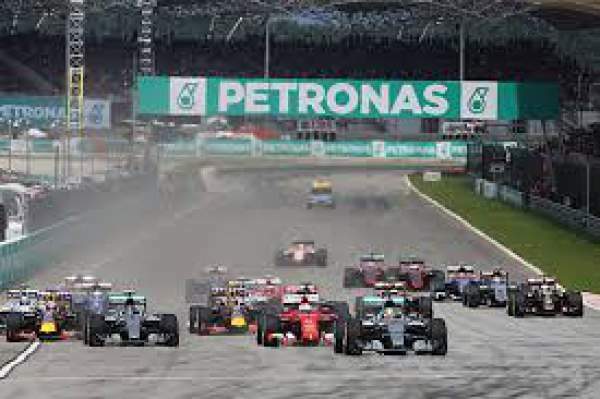 Stay tuned to The Reporter Times for latest F1 news and other sports updates. You can subscribe too.